+ Stella Maris +: Global Warming or Global Cooling? Now here's an interesting article on "Global Cooling" Are we getting too warm or not? I have long suspected that the warnings about Global Warming were not only exaggerated but actually wrong. This takes me back to the 1970's when I was in major seminary. I was alone one Friday evening in the T.V. room watching a frightening documentary on what was going to happen to the world in the 1980's. I took it to heart, and actually began a prayer group (four of us) to pray and study around this coming catastrophe. I bought books on the environment and took an interest in people like the late Barbara Ward and the ex-priest Ivan Illich. I studied Anthropology at Durham (as part of a General Arts course) and as I did so, the environment was part of my thinking. Later, after I was ordained, I lost interest in all of this (although I was still concerned about rain forests etc - and got there before Sting, I might add). Nothing much happened in the '80's, and then we were told that the computer models were wrong! I know all about the dangers of crying wolf and not being open to new possibilities, but I never really believed that so-called global warming was that bad. I read up on it a little and I am aware that the number of scientists now disagreeing with the concept has actually doubled. This article sheds some light on the alternative theories which have not gone away and are still worth considering. At the moment in Britain we are having a relatively mild October, but I understand this will not last. Don't throw your wellies away yet, and keep that snow-shovel handy. We haven't had Autumn here in Italy this year, from very hot it suddenly turned very cold and these past couple of days have been very hot again! The reason for global warming is quite simple yet people turn a blind eye to it because of too many vested interests: scented candles !!! Can you imagine how many scented candles are burning right now throughout the world? In bathrooms, rest rooms, in modern houses to make them smell more up-market and so on and so forth. Candles candles everywhere. In churches too. As well as the many candles on my birthday cake. Personally, I'm more concerned about the millenium bug - it will make all computers stop on the eve of the year 2000. Now that's something to really worry about. The sea is in many ways the moderator of global warming and cooling, as I understand things (severely non-scientist I am afraid) so this totally unrelated comment could just about fit in. The hymn "Stella Maris" by Fr. Faber was given a very nice Gaelic airing by BBC Alba which we might be able to catch for another day or so. It is available at present on BBC iPlayer a repeat from the BBC Alba channel. I think that the programme is called "Alleluia" but a browse through very few BBC Alba programmes in the music or religion section would find it. The background is excellent + lovely maritime photos and a brief account of Fr. Faber's doings with Cardinal Newman. Please forgive the intrusion into your debate. However it seemed the only place into which to put it! Many thanks Fr Ted. I will follow up your lead! You can find the same story reported at Watts Up With That. Just scroll down to the 28th of the month. 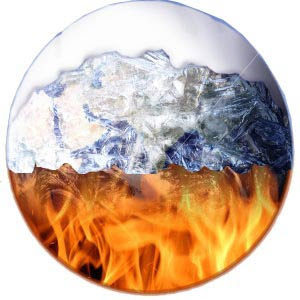 WUWT has regular articles reporting the science which undermines the notion of catastrophic human-forced global warming. You should watch this video. That last comment is not spam. The video is certainly related to global climate change.